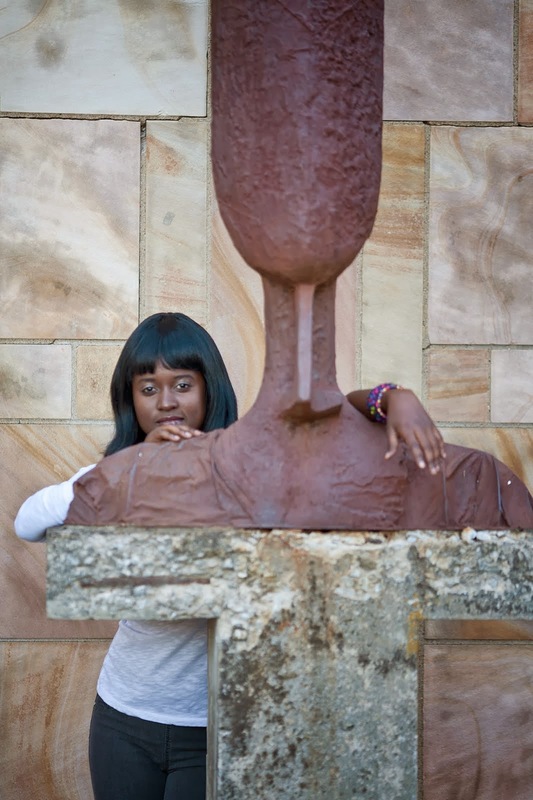 Cheryl Ntumy is a freelance writer based in Botswana. She is originally from Ghana. Her first published novel was Crossing (Pentagon Publishers, 2010). She has published four romance novels with Sapphire Press. She also writes short stories, fantasy and science-fiction. Her latest novel is The Cupid Club (Sapphire Press, 2013). Being illiterate in the modern world is like walking through a minefield in a foreign country. There is so much information available at the touch of a button or the turn of a page, but an illiterate person is completely shut out and therefore at a disadvantage. Such a person can’t even begin to compete in a world where knowledge is power, and reading is the key to knowledge. For me the role of literature is the same as that of any other form of storytelling, any other art – to reveal the human condition, to teach, to entertain, to inspire. Stories use fiction to point out the truth, to show us who we are and who we could be. Literature opens minds and hearts. Human beings have a natural affinity for stories. Reading for pleasure exposes you to worlds you might never venture into otherwise, but more importantly it allows you to let your imagination run wild. Imagination is the greatest gift we have – it’s what allows us to create and progress. I don’t know many published Motswana writers. The one writer I’d really want people to read is unpublished, but has incredible potential. Tlotlo Tsamaase writes complex and fascinating science-fiction/ fantasy set in Botswana. I think she exemplifies the new wave of young African writers who are children of the global village. In terms of established writers, Lauri Kubuitsile comes to mind. She’s been writing for many years and has really captures the spirit of Botswana in her work. That depends. If you want to make a living as a writer, getting published is essential. If your focus is on developing your skill and writing for the love of it, getting published is not as important. In this day and age, though, publication is simple unless you specifically want a traditional publisher. You can self-publish, you can create e-books, you can put your work online for people to read for free. It all comes down to what you want to achieve as a writer. I have a short story (“White”) in an anthology called Lemon Tea and Other Stories, which I believe is part of the English syllabus at UB. I was invited along with other writers to talk to students at Maru-a-Pula a few years ago. I don’t write for the school market. As part of the Petlo Literary Arts Trust, I learned that writing for schools is limiting, and there is nothing worse than writing about things that don’t interest you just to get published. I write what I like, and then I search for a publisher that shares my vision. My romance books deal with the ideas of being open to life, learning to trust, staying true to yourself and following your heart. My other work deals with spirituality, tolerance, self-discovery, and existential matters: what’s the world really like, who are we, why are we here, etc. I also enjoy exploring the unexplained. I try not to let such concerns limit me – I write characters as they come to me, African or not. With romance books you want the women to be strong, but even then it’s important that characters are human and relatable. African women don’t fit any set mould. Generally I prefer characters with more flaws, because they’re more interesting to write about and their stories go deeper. With the exception of the short story anthology and the work I did with Petlo, all my work is published elsewhere. Botswana’s publishing industry is incredibly limited. Any writer who wants to think outside the box or wants to be read beyond the borders of Botswana should publish outside – unfortunately it’s the practical option. My romance books are in CNA – they’re published in South Africa and are distributed through South African stores. They’re also available online as e-books. The Petlo books are available at Exclusive Books. I don’t think a writer needs to leave their desk if they have a clear vision. It depends on your subject matter. I’ve traveled outside Botswana and it helped me when I wanted to write about those places, but if you’re writing about Kanye, stay in Kanye. If you’re creating a fictional world modeled on 18th century London, then going to London might be useful. But with the information available to us today, a writer no longer has to travel to be able to produce good work with a universal message. Most writers who grew up in the information age have a universal worldview, in any case. I find writing from real life repetitive. If I’ve already lived through it, it’s not exciting anymore. I get an idea, a sort of “what if this happened?” or “what if the world was like this?” and run with it. My experiences or the experiences of people around me help in terms of building characters, exploring certain situations or tapping into particular emotions, but mostly it’s all make-believe. No, that’s the duty of a journalist. A fiction writer’s only duty is to the story, in whatever form it may take. A writer will bear witness, consciously or unconsciously; the finished product will reflect the spirit of the time and space the writer is in, because those things are part of the writer and inevitably spill into the work. If you live in a war zone and write a love story set in paradise, that vision was still born from war. I’ve yet to read a story that doesn’t in one way or another mirror the world at the time of writing. But to me writing is a sacred art. Tapping into the pool of universal imagination to create something that will affect others is already fulfilling your responsibility to the world. Other writers begin with a purpose or a message, and that works for them. But I find that when I focus on the story, all the other stuff takes care of itself. Women writers are already tackling the major issues. When you write about women, about their internal and external struggles, you make a statement. You show women that they are not alone, you create awareness. Writers can inspire change and development in others, but it’s up to their readers to turn that inspiration into action. I am a member of the Petlo Literary Arts Trust, although I’m not as active as I once was. The group has been an enormous help – through our projects I wrote my first play, worked on another play which has since been published (Sechele I), developed my short stories, met other writers and artists, learned how to organize and facilitate a workshop and made contacts in the media and arts world. Being part of a group gives you the opportunity to share your work with others and get valuable feedback, and to get involved in promoting literature and local writers. I’m from Ghana, so reading Setswana is very difficult for me. When we worked on Sechele I we wrote Setswana poetry and used proverbs, which we subsequently translated into English for the book. That gave me insight into the story so that I could write English scenes from a Tswana perspective. I would read more Setswana if it didn’t take me an hour to get through one page! I don’t think about the audience. I only think about the story. When I’m done with the first draft and about to begin rewriting, that’s when I consider the audience. With romance that would be young women, a few couples, some older women. Some of my other work is for teens, young adults, or adults. When I sit down to begin a story I’m always writing for me. If I wouldn’t read it, I don’t write it. The biggest material challenge is making a living, which is a daily struggle. But the toughest part emotionally is dealing with the belief that you’ll never be as good as the writers you admire. I’ve always known that I wanted to write, it’s not something I had to think about. I’ve always loved words. My parents are both educators and I grew up surrounded by books; perhaps my love of books is genetic. At some point I learned that if you express your wild ideas out loud people will lock you up, so I used writing to say all the things I couldn’t say in real life.